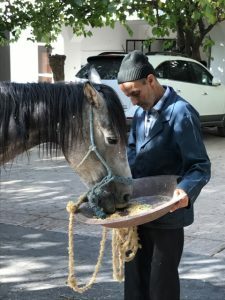 The American Fondouk examines and treats working animals, such as donkeys, mules and horses that belong to the poorer sections of the community and are used for both transport and agricultural work. 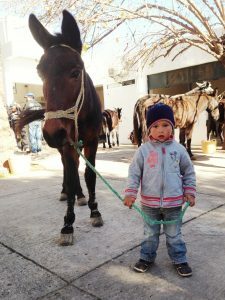 Most rural households in the area own at least one donkey or mule. These animals are used for a huge variety of tasks such as collecting water (often a 5 km daily trek), ploughing and threshing, taking goods and produce to the weekly market, taking the children to school, and just general transport. The loss of one of these working animals can mean financial ruin for an entire family, which is why providing free care is such a critical service in this community.